Benjamin International Production is proud to announce that we'll be attending the WOMEX trade show 2014 in Santiago de Compostela from 22th to 26t of October. Please come and say hello at stand 2.19 just next to the stage. We'll be eager to introduce you the artists and bands we represent. New Clip for Rey Cabrera !! 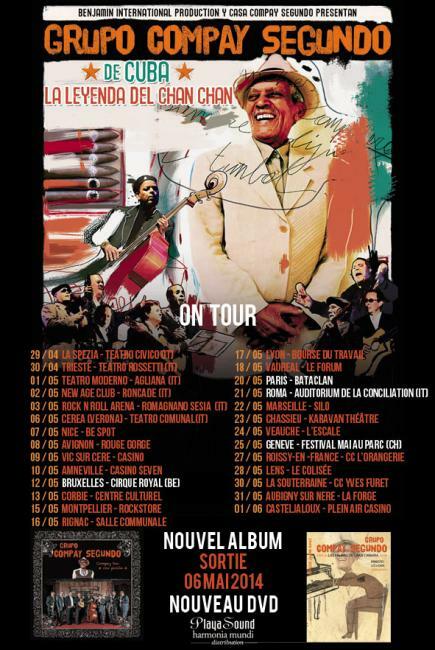 The famous Cuban Tres Ceros player is back with a new video clip called "Merci Beaucoup" !! 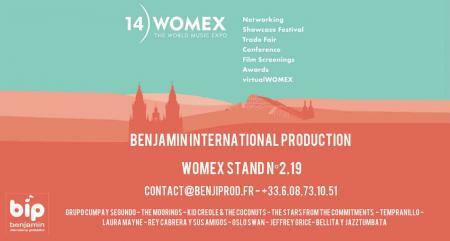 Benjamin International Production is proud to announce that we'll be attending the WOMEX trade show 2013 in Cardiff, Wales, from October 23rd to 27th. Please come and say hello at stand 226, just next to the stage. We'll be eager to introduce you the artists and bands we represent. The Moorings have the honor to be invited to play at the Cypel Fest 2013!! !